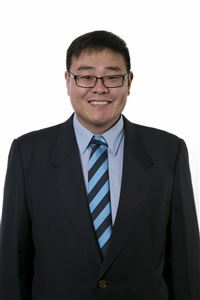 Having lived in New Zealand for 15 years Zheng Hui (Samson) is pleased to be offering his Real Estate services to the Chinese community. As a successful businessman here for many years Samson knows how to look after his customers, develop good relationships and find the best options for his clients. Samson is a passionate and honest young man, and he believes that New Zealand is one of the greatest immigration countries in the world so he is a positive representative for Chinese and other Asian clients. Zheng Hui (Samson) understands their unique needs and has great personal and family resources to call upon, alongside his true “Kiwi” values as well. With a Tourism Management Degree from Victoria University you have the added assurance of Samson’s professional knowledge in this industry as Taupō is one of the most popular tourism and events based towns in New Zealand. He will help guide you through all your property needs including buying and selling holiday homes, investment properties as well as permanent residences. You will be in great hands overall when you choose Zheng Hui and Harcourts Taupō.